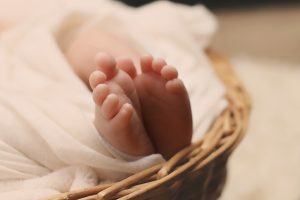 Identifying Common and Actionable Birth Injuries | Denver Trial Attorney Blog | Leventhal & Puga P.C. blog home Birth Injury When Childbirth Goes Wrong, Can You Sue? When Childbirth Goes Wrong, Can You Sue? Being born is traumatic. There is no argument about that. As a human child is pushed through and out of the birth canal, he or she will be forced to use lungs for the first time, feel cold for the first time, see bright lights burning the eyes, be startled by loud noises, and perhaps even feel pain during his or her arrival into the world. However, some trauma that babies endure during birth is not part of nature’s process. Newborns suffer preventable birth injuries in the United States every year; estimates place the rate of birth injuries between 0.2 to 37 injured newborns per 1,000 births. In 2015, there were 3,978,497 babies born in the U.S. At a low estimate, that could mean only 795 babies suffered a birth injury. From our experience, however, that number is much too low. At the high end, 147,204 could have suffered a birth injury. We feel that’s much more accurate. Of those, some birth injuries are unavoidable and, in the long term, harmless. Others are not, and you should know the difference. When a medical provider’s negligence causes lifelong damage, they are definitely “on the hook” to pay for that damage to the child. Birth trauma tends to refer to mechanical injury done to the baby—a broken collarbone, swelling on the head (caput succedaneum), or bleeding from a cut made during a Cesarean section. Birth injury tends to mean internal or system-level damage to the baby. For example, a lack of oxygen damaging the motor areas of the brain, leading to cerebral palsy, or untreated jaundice leading to kernicterus, a buildup of toxicity in the baby’s system that causes brain dysfunction. Thankfully, some common birth injuries are minor and even caused by natural birth forces. These injuries often cause no lasting harm to the newborn. Caput succedaneum: Swelling on the head of the newborn. Caput succedaneum is common after prolonged labor, especially if the amniotic fluid has drained. During delivery, the baby’s head rubs against the uterine wall or birth canal with no cushion, and blood and fluid collect under the skin as a result. The swelling will disappear in a few days, but as the blood breaks down the baby may experience jaundice, which should be treated by medical professionals. Cephalohematoma: When blood collects underneath the scalp, usually after a difficult labor, it may appear as a raised lump on the newborn’s head. Depending on the size, the lump may take weeks to months to break down as the newborn’s body reabsorbs the blood. Jaundice may occur. Facial paralysis: Pressure on the facial nerve (as the seventh cranial nerve is called) can cause paralysis in the baby’s face, which usually heals itself in a few months. However, there are exceptions. Sylvester Stallone was notably delivered with two forceps, and one side of his face was permanently paralyzed. Fractures: Broken collarbones are most common when it comes to birth trauma. Only a few decades ago, delivery doctors were routinely taught to break the collarbone and deliver the baby whenever it got stuck in the birth canal. Since broken collarbones heal quickly with few problems, the biggest consideration is pain control for the newborn. Brachial plexus injury: Any amount of pulling or twisting on the baby’s head or neck can damage the brachial plexus, a group of nerves behind the collarbone that controls the arm. The paralysis caused by a brachial plexus injury may heal on its own if the nerves are just strained, but if the doctor pulled hard enough to sever them, the paralysis is permanent. If the upper nerves are damaged, it can lead to Erb’s palsy, where the child loses motion in the shoulder and the ability to flex the elbow. Or, damage to the lower nerves can lead to Klumpke’s palsy, where the child loses motion in the wrist and hand. According to Johns Hopkins Medicine, 1-2 babies per 1,000 experience a brachial plexus injury during birth—and from the number of cases we see, this staggering amount shows no signs of stopping. Spinal cord injuries: These can be caused by pulling or twisting forces on the infant’s torso, or hyperextension of the baby’s head during delivery (very similar to the cause of a brachial plexus injury). The spinal cord may be bruised, partially torn, or completely torn (this is called transection), and the severity and location of the injury will determine if the child is completely paralyzed. Cerebral palsy: This condition may be caused by a congenital malformation of the brain—in essence, a birth defect, not an injury—but not always. When labor is prolonged and the baby is not getting oxygen, its distress will show up on the fetal heart monitor. Unless the medical providers movie quickly to get the child out, its brain can suffer injury to the areas that control body movement and muscle coordination. Birth injuries lead to an estimated 10% of all cerebral palsy cases. Hypoxic-ischemic encephalopathy (HIE): HIE indicates widespread brain damage, which can also include cerebral palsy and mental retardation. Hypoxic means “low oxygen levels” and ischemic means “restriction or cut-off blood supply,” and HIE can be caused by either or both. According to the University of Florida Health, HIE occurs in 3-20 per 1,000 full-term births, and up to 60% of premature births. Mild cases may cause few disabilities; moderate and severe cases mean lifelong care is needed for the child. Can Medical Providers Prevent Birth Injuries? Some birth injuries are preventable, but not all. You should have a qualified birth injury lawyer review what happened to help you understand the issues in your unique case. Advances in prenatal care and testing, the availability of C-section surgery, and continuous fetal monitoring during labor and delivery should give birth specialists what they require to keep most infants from suffering serious, lifelong damage. If the fetal monitor shows distress or extensive labor has exhausted the baby’s oxygen supply, physicians must act quickly to protect the child. Certain factors, like the baby’s size, the mother’s underlying condition(s), and the mother’s history of childbirth make a difference. If the baby is too large to make it through the mother’s pelvis, then a C-section should be scheduled beforehand. Likewise, if the baby is in an abnormal birthing position, a C-section might be safer than trying to tug him into place, risking spinal cord damage in the process. When it comes to birth injuries and medical malpractice, the standard we hold is, “Would another doctor have made this mistake? Was it reasonable to make this mistake, in light of all the factors surrounding the mother’s pregnancy?” Often, the answer is “No.” In such cases, the family can file a birth injury claim against the negligent parties. If your child suffered a birth injury and you suspect medical negligence caused or contributed to it, please give our office a call. Several of our premier attorneys at Leventhal & Puga, P.C., have made it their career to represent victims of serious birth injuries, and founding attorney Jim Puga has a specific emphasis on representing babies and children who suffer from cerebral palsy. For a no-cost initial consultation, please call (877) 433-3906.